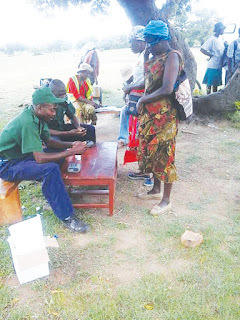 Some of the Bikita villagers receiving aid. Pic by Tafadzwa Mapesa. 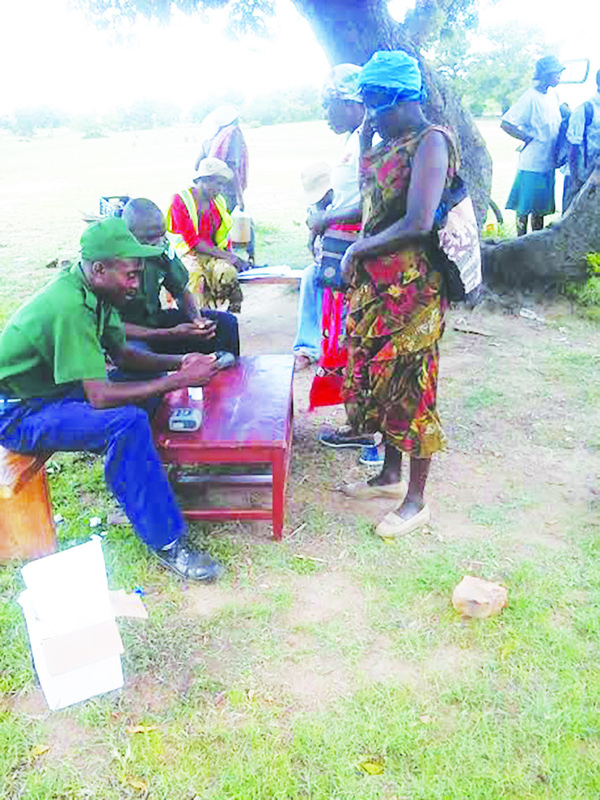 BIKITA – Some 44 000 villagers from 12 wards in Bikita are receiving aid from the United Nations World Food Programme to cushion them against food shortages that have hit the district. The villagers are getting US$8 in cash and 750g vegetable oil every month. WFP Zimbabwe spokesperson Ashley Baxstrom confirmed the programme to The Mirror. The beneficiaries are identified following a process involving the District Administrator (DA)’s office and key stakeholders at village and ward level. “District targeting is informed by findings of the Zimbabwe Vulnerable Assessment Committee (ZimVAC) Annual Rural Livelihood Assessment. “At district level, WFP coordinated its activities with District Drought Relief Committees, which were chaired by DAs’ and included all key humanitarian stakeholders, to inform ward prioritization, at community level,” said Baxstrom. The program also includes training on conservation agriculture, post-harvest handling and management, crop and animal disease control, nutrition, participatory health and hygiene, gender amongst others. Acting DA, Innocent Matingwina said about 12 wards are receiving the aid. “I am happy with this programme which is helping people with drought relief. Twelve wards here in Bikita are receiving the aid, we would like to thank WFP for recognising us,” said Matingwina. Support in Bikita has scaled from approximately 18,000 people in October to over 44,200 in January. Bikita will receive the aid for seven months depending on the level of food insecurity for each district. As of January WFP is providing Lean Season Assistance in 24 of the most food-insecure districts including Bikita, Binga, Kariba, Tsholotsho, Umguza, Mangwe, Nkayi, Bulilima, Beitbridge, Umzingwane, Buhera, Chiredzi, Mwenezi, Masvingo, Zvishavane, Mutare, Gutu, Rushinga, Mudzi, Mbire, Muzarabani, Bindura, Mutoko, Nyanga.